Wearable tech is perhaps one of the hottest trends in the market. Everything from devices that track our health and fitness, to collars that help us find our pets and even connected sensors in our shoes that help us escape from a bad date – everyone is talking about wearable tech. A recent report by Transparency Market Research predicted the global wearable technology market will be worth $5.8 billion by 2018. Big name players from Google and Apple are already teasing and exciting with their wearable tech offerings and much smaller companies have released their best bid to become a leader in the space. With the holidays approaching – and tech being a top item on most people’s shopping lists- now’s a great time to talk about one of the wearable tech items I was recently able to check out. Many of the smartwatches on the market today are popular for their ability ease management of incoming communications. With so many options for communications today –email, text, voice, IM or social media - the amount of alerts and notifications we get on our mobile phones has grown tremendously. Having to pull your phone out of your pocket or cluttered purse every time you hear a ding or feel a buzz has grown to almost be obnoxious for many of us. So when I had a chance to try out the COGITO to finally see what the craze over smartwatches was about, I jumped at the opportunity. I had never seen or worn any type of smartwatch prior and was surprised at how ‘normal’ the watch looked when I opened the box. So many concept images we see online for smartwatches appear to be super hi-tech gadgets. But this was easy to wear because it looked just like a watch. Except it’s a connected watch. Once connected to my iPhone via Bluetooth and with the Cogito app – it was able to let me know when I got an email or someone had texted me and all I had to do was glance at my wrist quickly to evaluate if it required attention. The watch also uses a regular watch battery so it doesn’t have to be charged every night along with all of our other smart devices. I found it especially convenient when I was driving or out running errands to have information at the glance of my wrist. Perhaps the largest benefit however was seen when I handed the smartwatch to my fiancé. He’s not someone who ever wears a watch or stays abreast of all the latest tech gadgets. As a machinist who works intensively with his hands however, he immediately commented on the convenience the COGITO provided when his hands were full of grease or if he was underneath a car and didn’t have his phone anywhere with him. 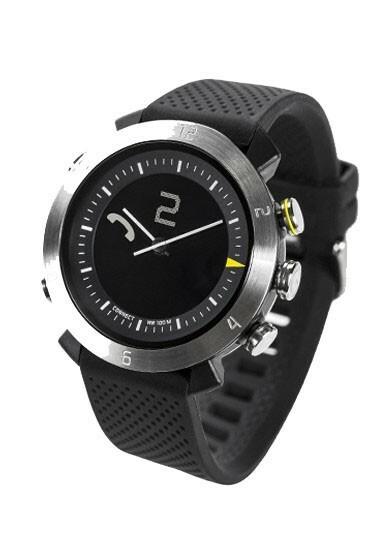 For his use, the COGITO CLASSIC was used via Android and Bluetooth. Being able to see who was contacting him and what they were saying on the watch’s face was extremely useful. The watch can also be programmed to only push essential communications from important contacts as desired and is water resistant up to 10 ATM. Whenever my fiancé is working on the shop floor there can be dust, possible dropping and other dangers his mobile device is now saved from because the COGITO ensures he is still connected and reachable for communications. The COGITO CLASSIC retails for $179 and if you’re shopping around for gift ideas for a gadget lover or someone just starting out with smart devices – this is something to definitely keep in mind.